UNICEF coordinators and volunteers walk from house to house in the Zumatown community in Monrovia, Liberia on March 3, 2015. 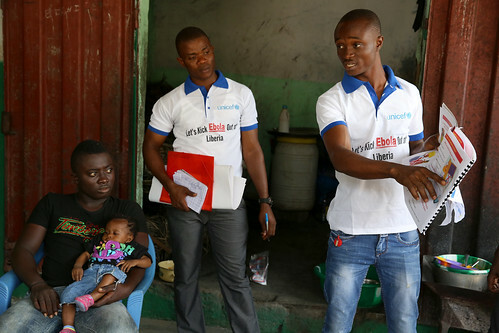 UNIFEC is reaching out to educate residence about protecting them selves from Ebola ourbreak. Photo © Dominic Chavez World Bank.